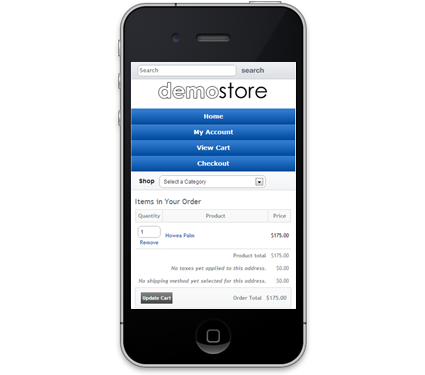 The Mobile template package was designed specifically for use on devices with smaller screens. Your store will detect the customer's device, and will automatically switch to Mobile - or to any other template that you specify for handheld devices. Pre-populated with most storefront pages to allow you to optimize each store page for small screens. All of the shopping cart's functionality is retained — even on handheld devices. Customers can toggle between the mobile template, and your store's regular template, with just a click.